London : Despite of corruption allegations Sepp Blatter has been re-elected president of FIFA, football's world governing body. Cruising on success he announced that "I am the president now, the president of everybody." But, it became talk of the town for many; FA chairman claimed that Blatter will be ousted from the post within two years. • Mr Blatter's rival, Prince Ali bin al-Hussein of Jordan, had forced a second round of voting but withdrew. 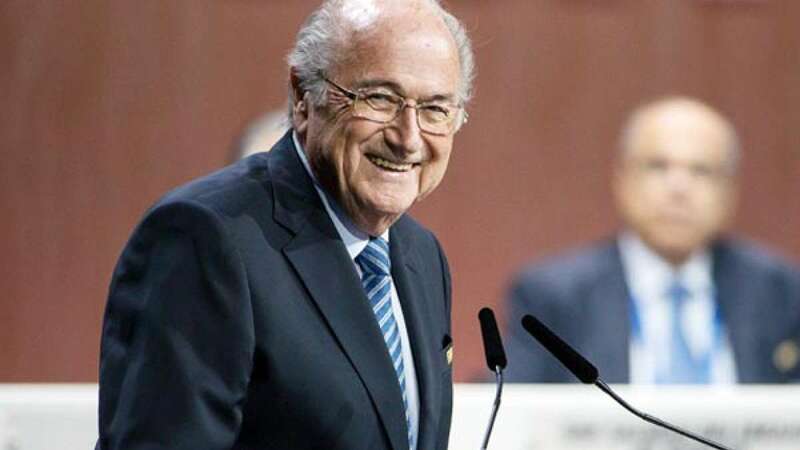 • Victory speech by Blatter showed his confidence as he claimed "I am the president now, the president of everybody." • Seven top officials were arrested in Switzerland on Wednesday as part of a US prosecution that indicted 14 people. • Post allegations Mr Blatter was asked to resign from his designation. • UK Prime Minister David Cameron had also suggested him to resign till the final verdict comes. • Blatter promised to revive lost image. • He said, "I take the responsibility to bring back Fifa where it should be... Let's go Fifa! Let's go Fifa!"